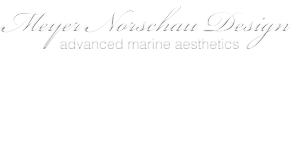 Karl Marius Norschau has a degree of Industrial Design from the University of SouthAustralia and many years of experience from the boating industry. Starting as an internat Oceanfast luxury yacths in Western Australia he gained valuable insights to the process of developing large luxury yachts. He was then challenged by a friend to joinhim in Tasmania and work as a carpenter on a superyacht project. Working with skilledshipwrights and carpenters day and night for a year was a great and intense learningexperience. This experience has really set a mark on Karl’s passion for styling and designfor manufacturing. After designing concepts for new superyacht projects at the same yard NWBS yacths, hedecided to move back to Europe. In Norway, he started working with the Windy DesignTeam. With this small group of experienced people he has had a chance to develop intoa professional yacht designer. His mentor Hans Jørgen Johnsen has been a teacher andvalued sparring partner when working on design solutions for new projects. Design and creative problem solving is more like a hobby for Karl. So in between family and sailing there is mostly a sketch pad and a bright idea lurking. Jara Prouza is a Czech/Australian Industrial Designer based in Adelaide, South Australia. As a teenager, his hobby was building and repairing musical instruments and this naturally progressed into an interest in everything to do with product design. Since completing his degree, he has worked for a variety of Australian and global manufacturers, gaining 10 years of experience in product development from concept through to production kickoff. Projects have encompassed furniture, medical devices, consumer goods, vehicles, interactive museum exhibits & products with a high level of engineering content. He has an especially keen interest in design for manufacturing and likes to think he can model anything in 3D.